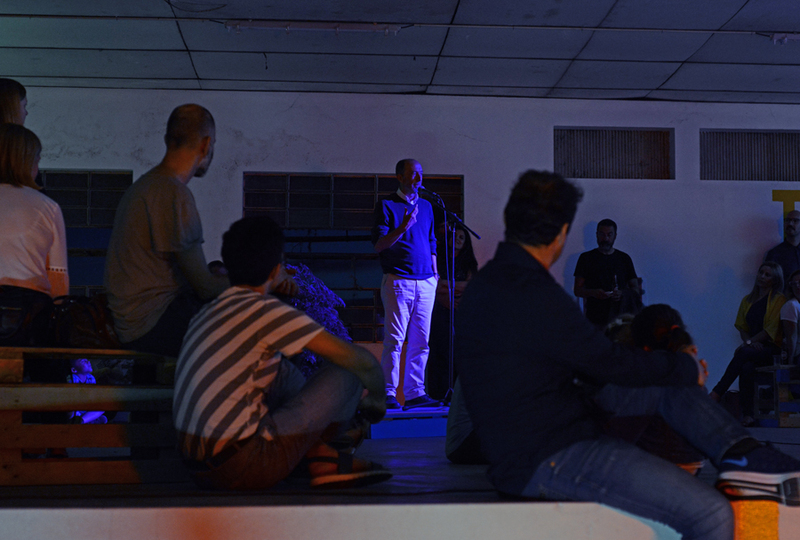 O que falta é amor foi um evento que teve lugar no espaço artístico O Sol Aceita a Pele Para Ficar (Guimarães) no dia 10 de Junho de 2017. 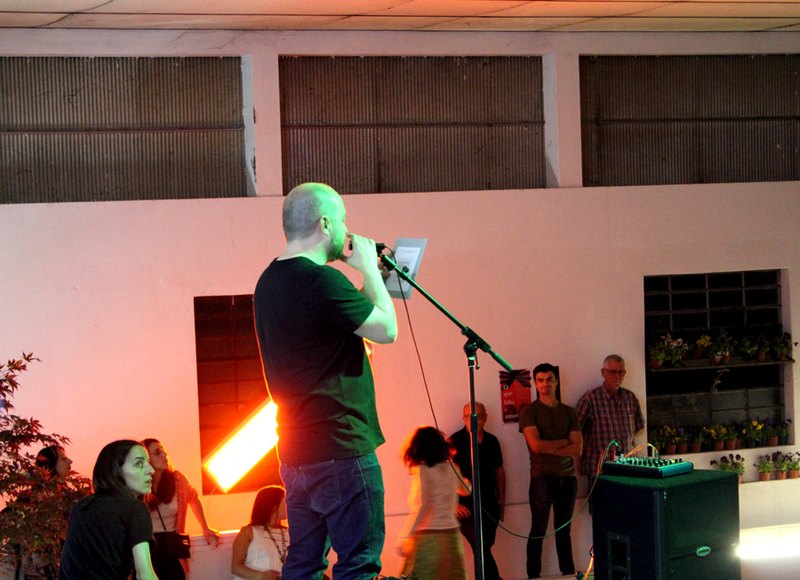 We are lacking love was an event that took place at the artist-run-space O Sol Aceita a Pele Para Ficar - The Sun Accepts the Skin To Stay (Guimarães, PT) on the 10th June 2017. O que falta é amor desenvolveu-se como reacção ao contexto de expropriação do espaço artístico O Sol Aceita a Pele Para Ficar, suportado por Filipa Araújo e Max Fernandes afim de se construir um parque de estacionamento. O que falta é amor explora um traço comum entre a ideia de amor e a ideia de política: a produção e o sustentar da mutualidade - o movimento de imaginar e manter o outro próximo, de convocar o alheio e um movimento de permanência, de fazer ir o outro do nosso presente ao futuro. Foi esta possível semelhança entre a ideia de amor e as práticas políticas que esteve na base do evento artístico (e cívico). 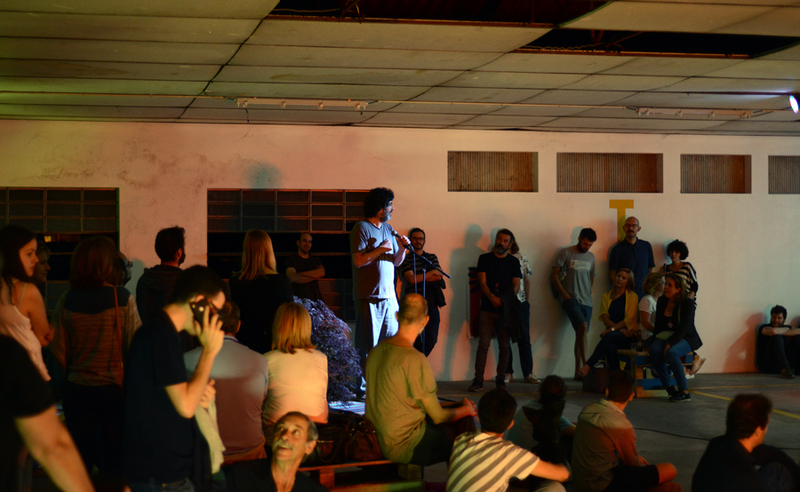 We are lacking love developed as a reaction to the expropriation of the artist run space The Sun Accepts the Skin to Stay, supported by Filipa Araújo and Max Fernandes, to be demolished in order to build a parking lot. We are lacking love explores possible relations between what sustains love and what politics ought to sustain - the commitment and sustaining of senses of mutuality, of imagining and relating to other, summoning the foreign and the consolidation of desires of permanence, of translating the present tense of the other onto a future. 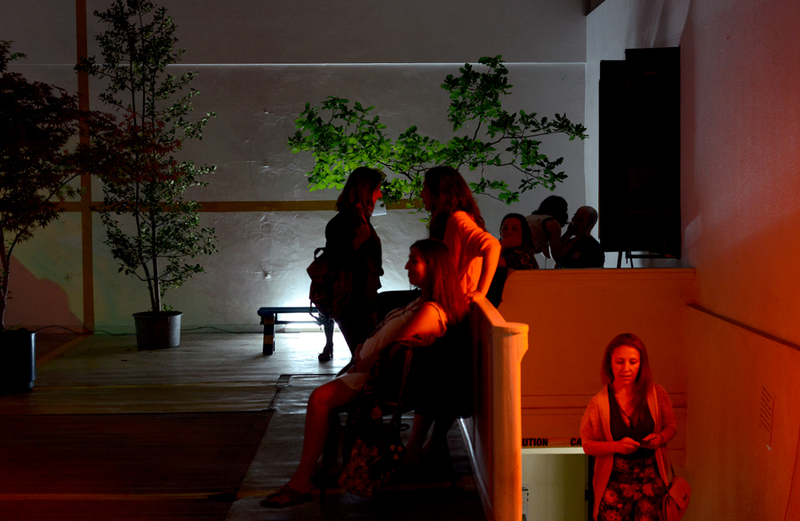 It was from this possible connection between the idea of loving and its resonance with political ideas that grounded this artistic and civic event. A partir desta ideia, deu-se a recuperação de um formato artístico - o sarau poético - como possibilidade dentro das artes visuais: o poema, a estória, enquanto tipo de imagem com uma movimentação temporal e subjectiva mais ampla. Esta recuperação segue a proposta de Lawrence Ferlinghetti, sobre a possibilidade e valor do pensamento poético (da escrita? da leitura? da partilha?) como uma arte de insurgência. The ground for We are lacking love developed from the intention to recuperate an artistic format - the poetic saloon - as a discourse within the context of visual arts, in which poems and stories are involved in the construction of extending the temporal and subjective within the notion of image. The recuperation of this format, as well as the potential for political readings of society through art, were mainly inspired by Lawrence Ferlinghetti’s book “Poetry as Insurgent Art.” In this book Ferlinghetti proposes the value and advantages of the poetic thinking. But what exactly? Of forms of writing? of reading? of its sharing? O que falta é amor explorou a possibilidade da partilha colectiva de visões privadas, sensíveis e emotivas, como possibilidade através da qual as linhas do social podem ser pensadas e re-imaginadas. Procurou-se dar forma à urgência, dar corpo ao fogo que arde sem se ver. 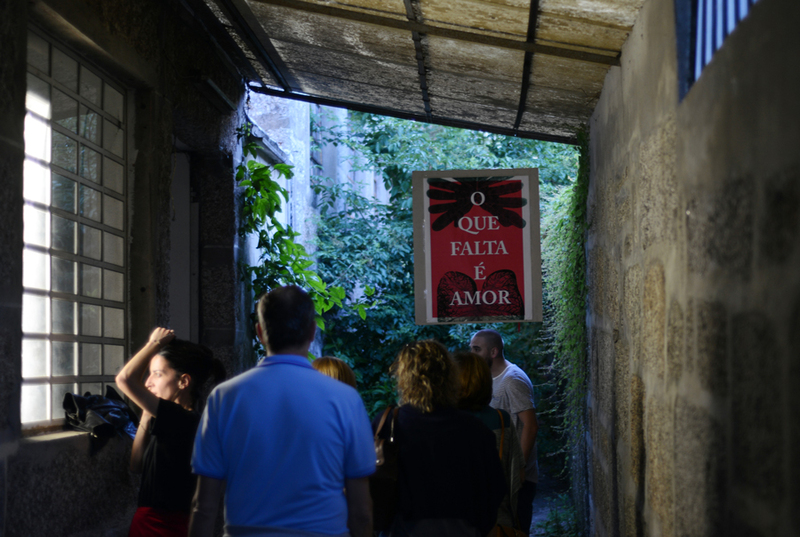 In preparation for the event, a call for poems on the matters of love, of losing, of being expropriated, and of building togetherness was distributed in Guimarães in forms of posters and through social media. 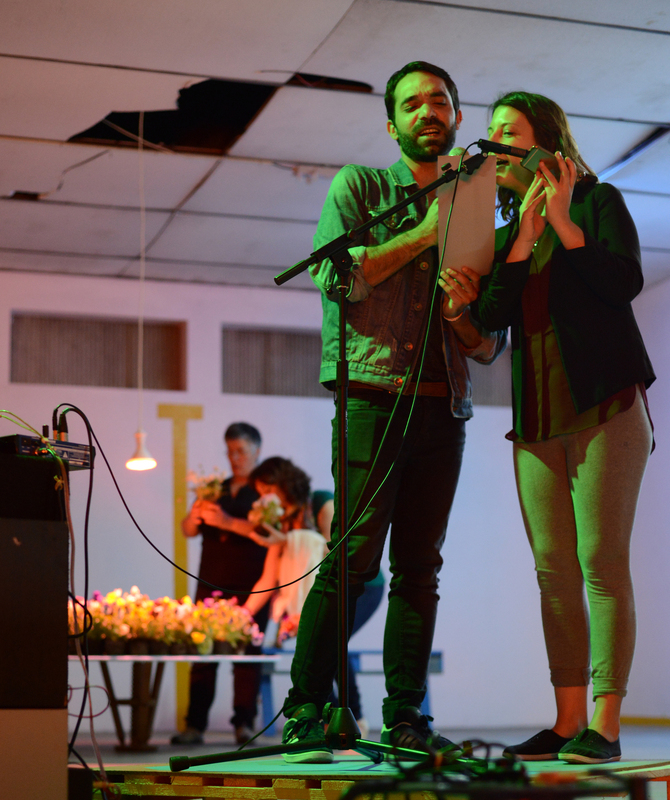 Hundreds of poems and other text-forms answered the call, as well the contribution of a few artists joining the even in form of performing or sending videos to the event. 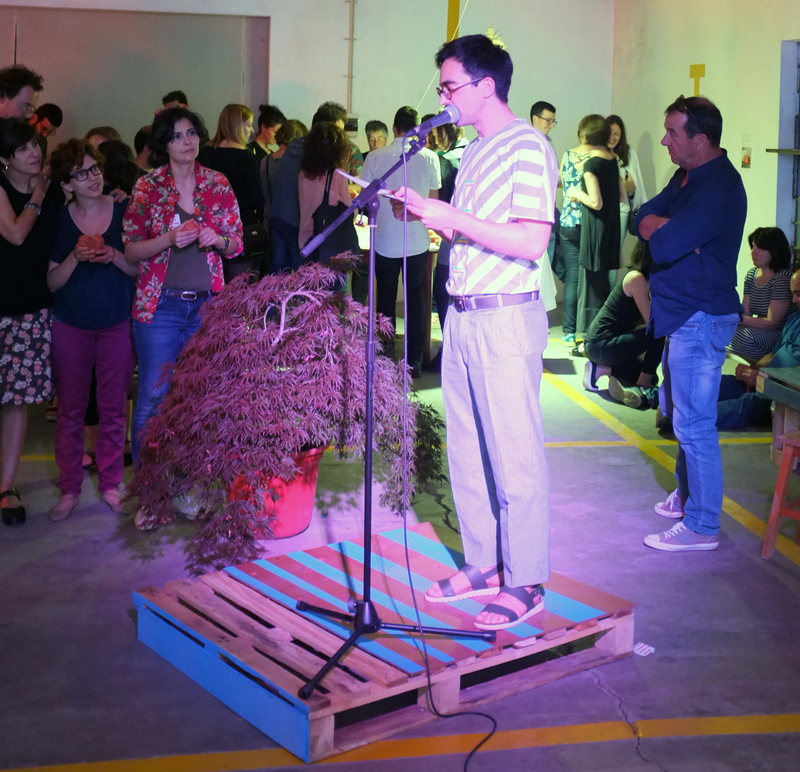 Sobre o chão e paredes do espaço foi pintado um traçado de um eventual parque de estacionamento, sobre o qual se colocaram plataformas e amplificação para a leitura de poemas. Por cima desse traçado criaram-se outras zonas, como o de um jardim temporário - uma possível alternativa ao parque de estacionamento - zonas de leitura, um pequeno jardim de Amores-Perfeitos (planta que simboliza o amor e cuja essência é usada por certas prácticas como elixir da paixão), uma prateleira com Amores (um doce local produzido pela Confeitaria Clarinha, oferecidos generosamente para o evento) e uma outra prateleira, dispondo centenas de poemas, textos, letras de música respondendo à convocatória pública feita durante o mês antecedendo o evento. Procurou-se assim povoar o espaço com diferentes sentidos sensoriais e conceptuais do amor. Foi ainda servida uma refeição ligeira. The Sun Accepts the Skin to Stay space was totally restaged. 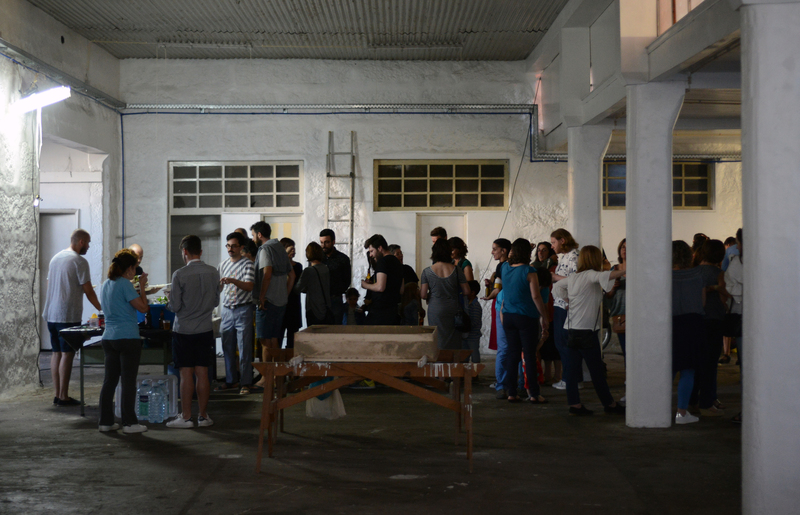 Until very recently a functional factory, the space has been partially rented by artists and uni-personal businesses. In the attempt of translating the intentional project of building the parking lot into a spatial image, I’ve traced parking lot slots over the floor and walls of the entire studio space. 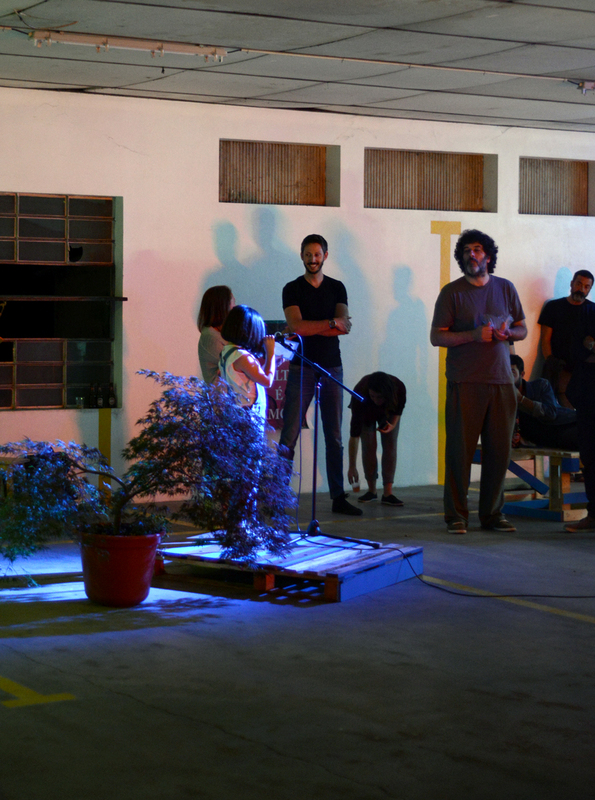 To bring the current debate and contestation to the event, in particular the suggestion of having a public park rather than a parking lot, a number of trees were brought into the the space and placed over the “parking areas.” Over other parking slots were placed platforms with amplifiers and microphone stands prepared for the readings of poems. In order to stress different senses of love, the space was perfumed by two gardens of Violas (plant that in fragrance symbology provides the essence of love, and which name, in Portuguese is literally Perfect Loves - Amores-Perfeitos), and, a shelf with a local pastry called Amores (Loves), offered by Clarinha, the pastry shop that manufactures them, in support of the event. 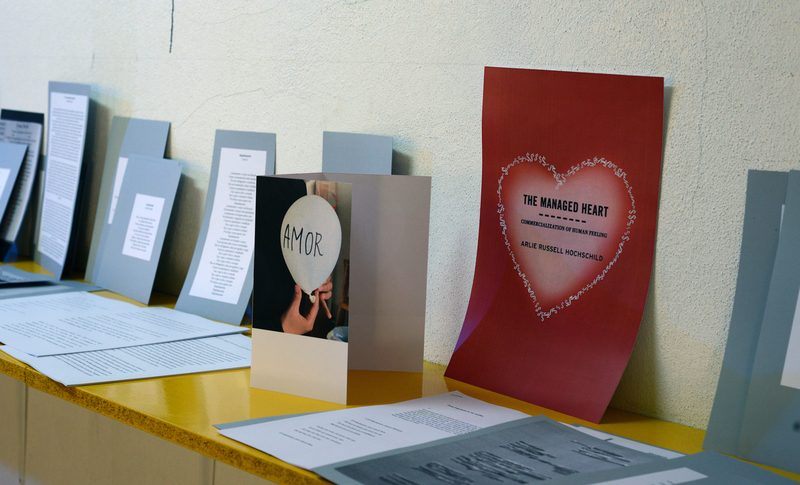 The compilation of hundreds of poems, lyrics, texts that were sent in response to the public call made the prior month before the event took place, were displayed over a shelf for readings. 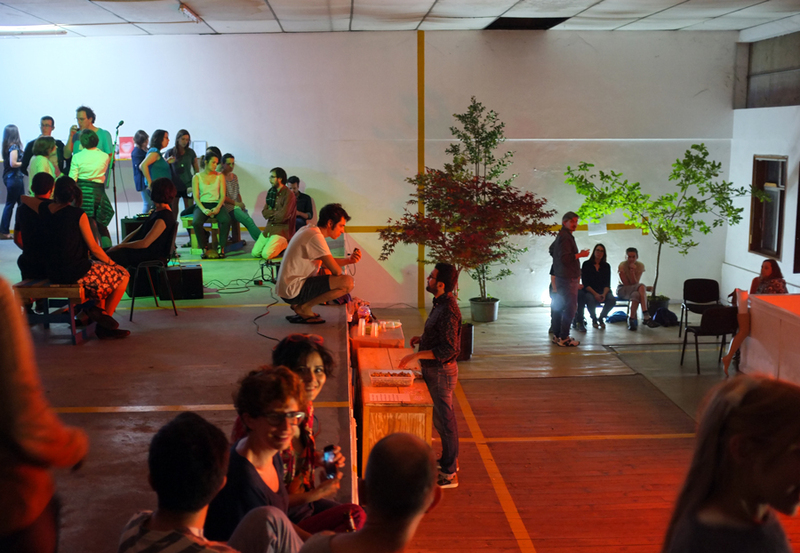 In preparation for the event, all scrap material found in the factory was converted in benches and bleachers for the event, and a meal was served right before the event started. 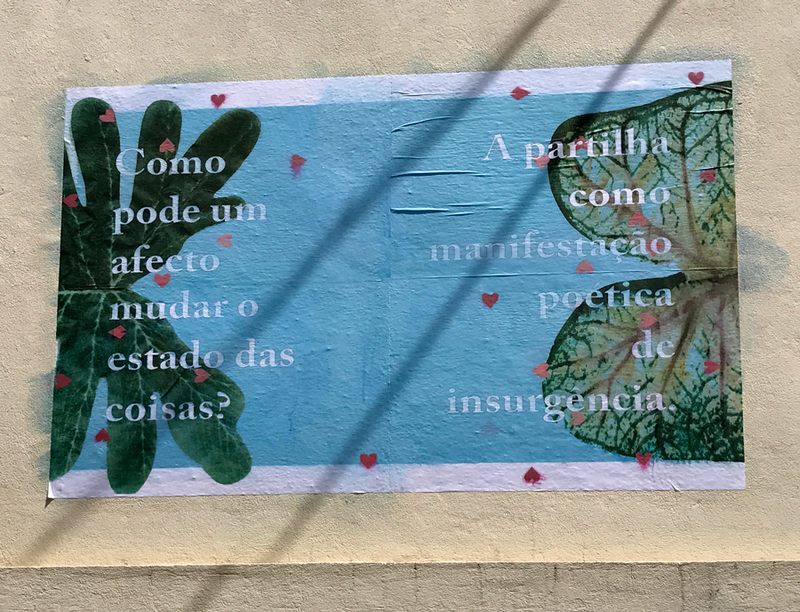 Em O que falta é amor , público e convidados leram poemas, canções e textos (seus ou citados) sobre diferentes possibilidade e ideias em torno de condições, definições, visões sobre amar, perder, sobre ser expropriada (por interesse ou própria e alheia), sobre o amor como táctica que interrompe o vazio e sustenta o futuro. In We are lacking love, audience and collaborating artists read and shares poems, songs and texts (quoted or originals) on the different possibilities and ideas about conditions, definitions, visions about loving, losing, being expropriated (by self or external management), about love as a strategy that withholds the void and sustains the future. Juntaram-se a este evento ainda as contribuições artísticas de Fernando José Pereira, Paulo Aureliano da Mata, Gabriela Vaz Pinheiro, Kids of the Ranch, Rute Rosas, Nuno Ramalho, Sofia Barreira, Rita Castro Neves e Daniel Moreira. 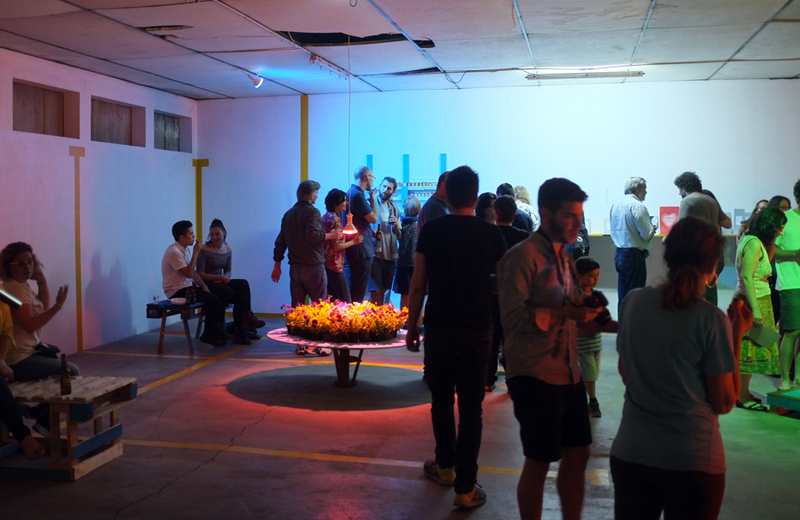 The artists Fernando José Pereira, Paulo Aureliano da Mata, Gabriela Vaz Pinheiro, Kids of the Ranch, Rute Rosas, Nuno Ramalho, Sofia Barreira, Rita Castro Neves and Daniel Moreira joined the event with their artistic contributions. 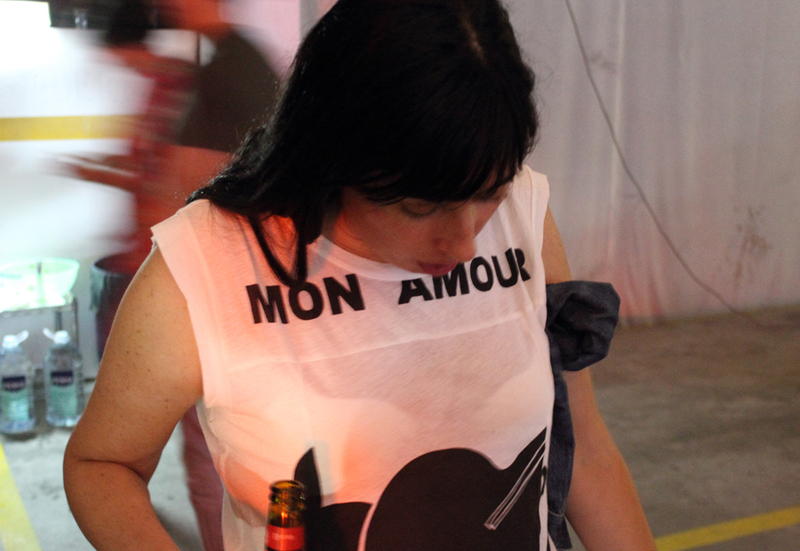 na imagem, a contribuição de Gabriela Vaz Pinheiro (fotos da performance “Espalha corações”, projecto feito a partir da obra “My Hands are My Heart”, de Gabriel Orozco). In the image, Gabriela Vaz Pinheiro (performing “Spreading Hearts”, a re-enactment of Gabriel Orozco “My Hands are My Heart”). na imagem, a contribuição de Nuno Ramalho. 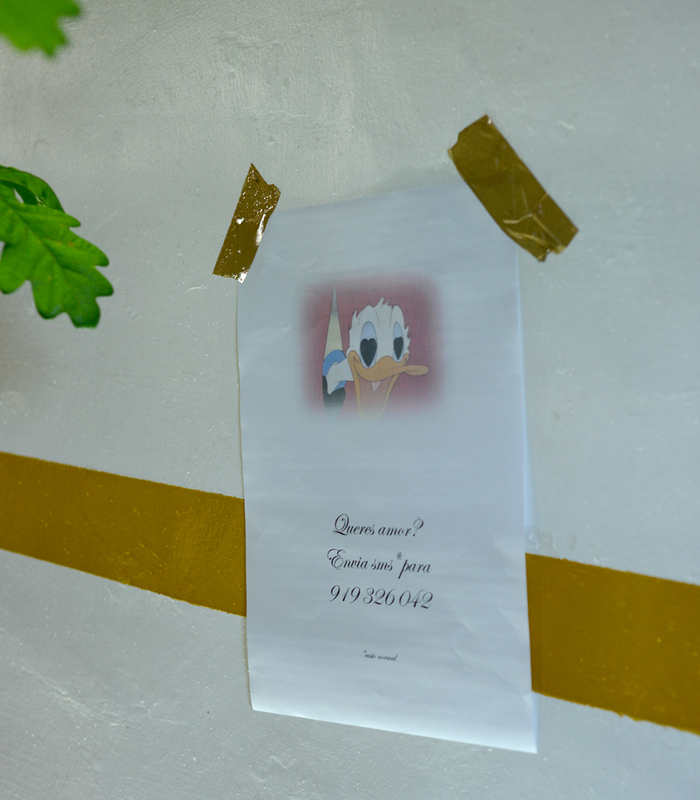 in the image, “You want love, send sms” by Nuno Ramalho.